Who doesn’t love to decorate with ease? 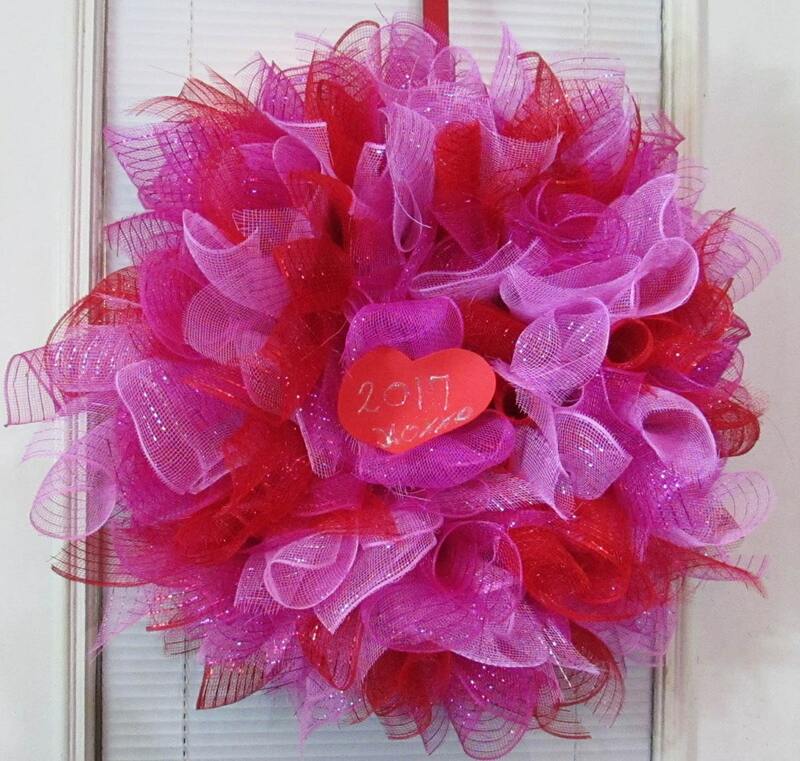 Enjoy a lovely wreath that can be used throughout the year (even though we call it the Happy Valentine wreath). 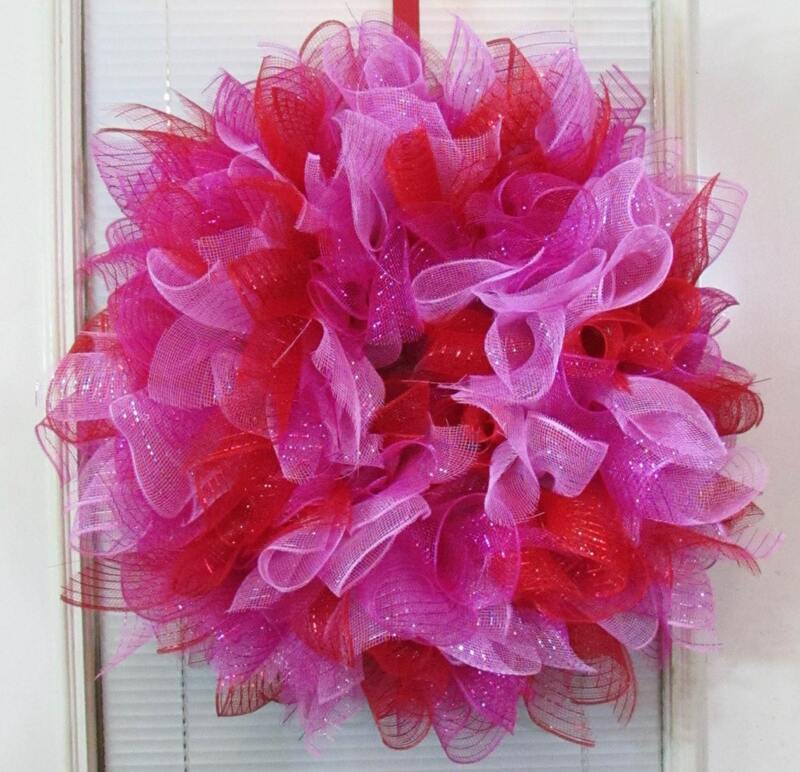 This stunning mesh wreath is created with shades of beautiful pink and vibrant red. 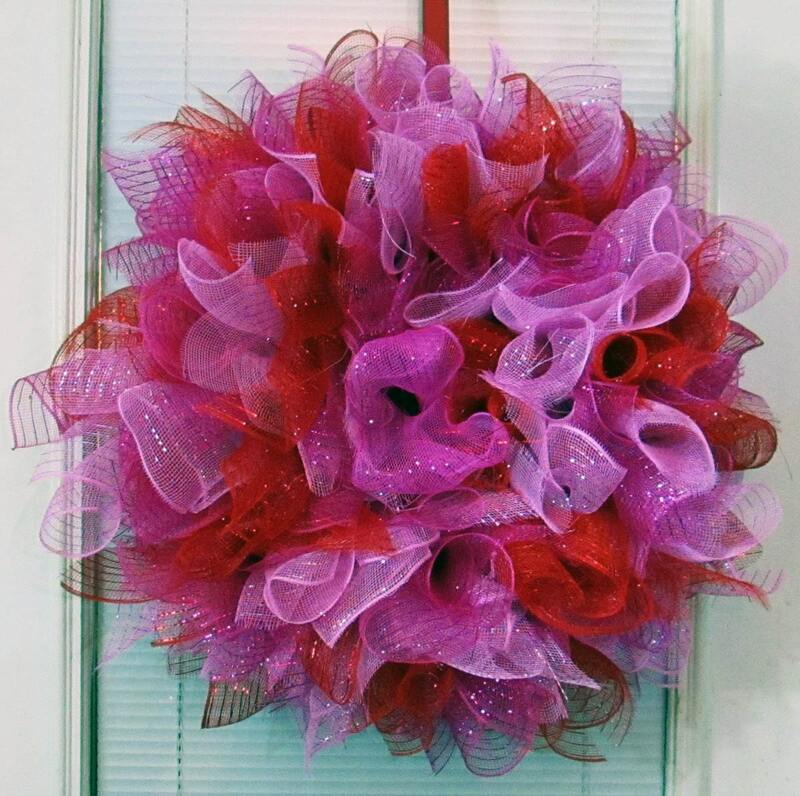 We can easily add extra embellishments and are happy to have your input during the creative process. 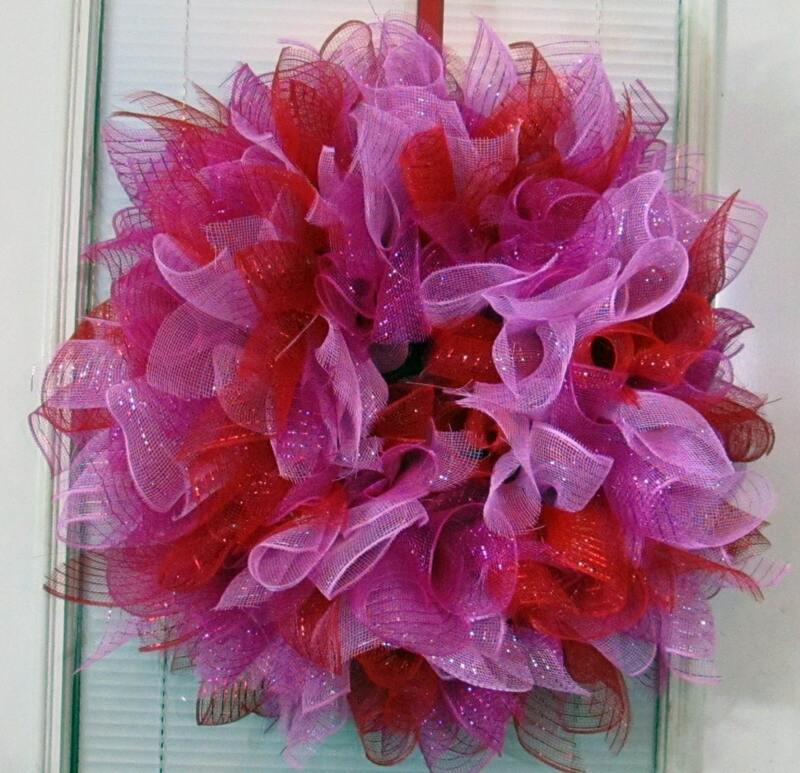 Wire Wreath is 14 1/2"dia. before creation and up to 20" measuring across upon completion; averaging 18" dia. 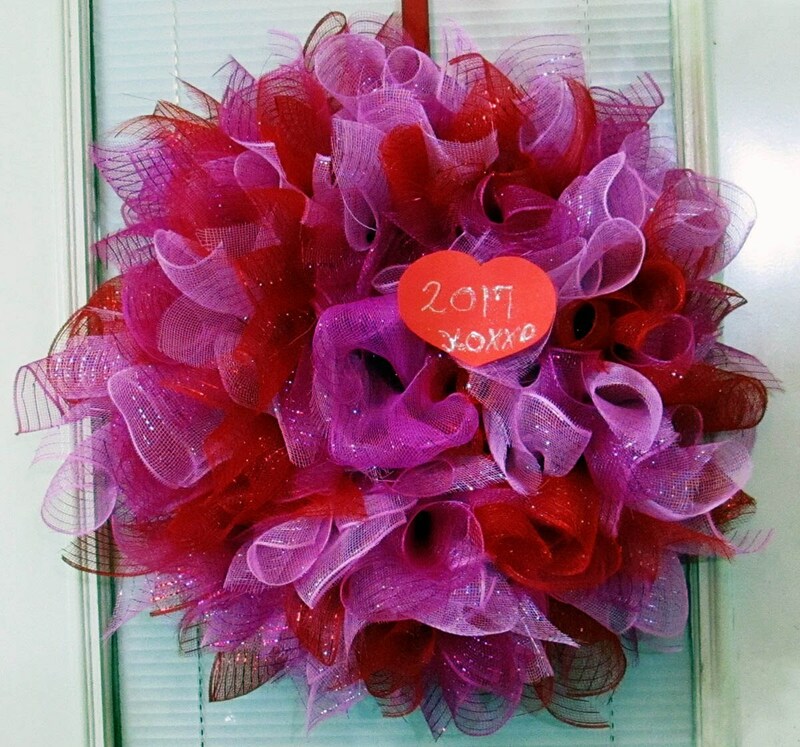 Shipping: These handmade wreaths are not heavy but require larger sized boxes which incur a higher shipping rate; we have worked diligently to find the best size box and carrier service to keep the shipping cost competitive and as accurate as possible. We will continue to keep a lookout for changes in shipping rates to best serve our clients.